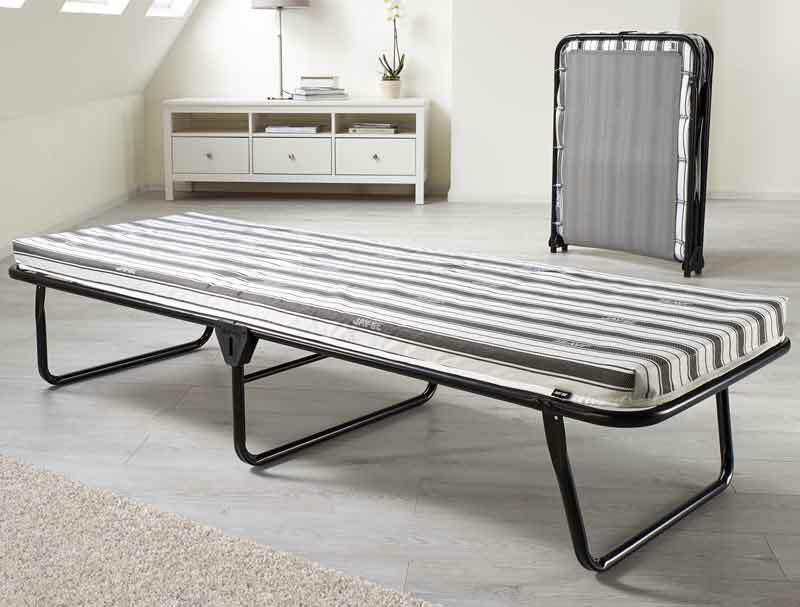 The Jaybe Value Airflow folding bed is a anytime, anywhere folding bed , which offers a budget price but higher specification than any other standard folding bed on the market. 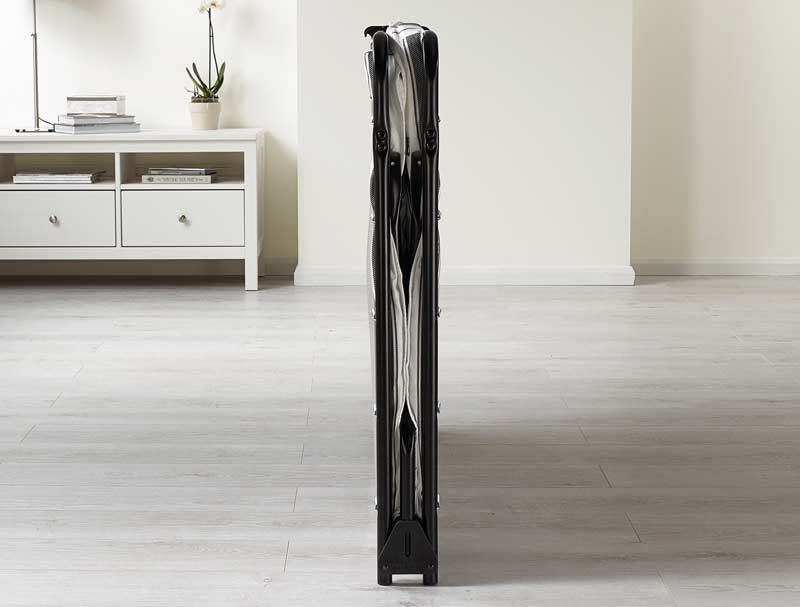 The Value Airflowis made to higher standards than british and europaen safety standards and is lightweight at 12.4kg and ultra slim in design. 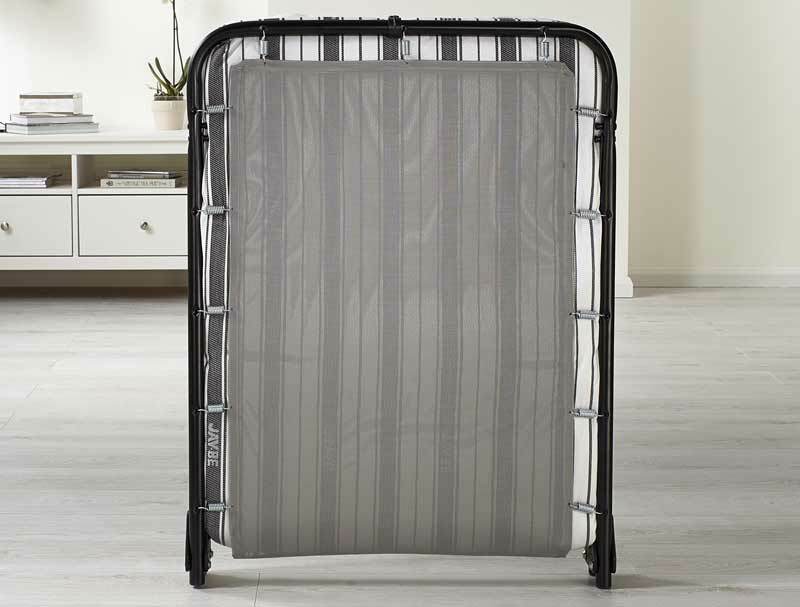 The base on this bed has been upgraded to the New J-Tex woven polyester rigid fabric base with extra strong joining springs . Jaybe offer a lifetime guarantee on this folding bed which is suitable for adults up to 14 stone and is suitable for regular use. 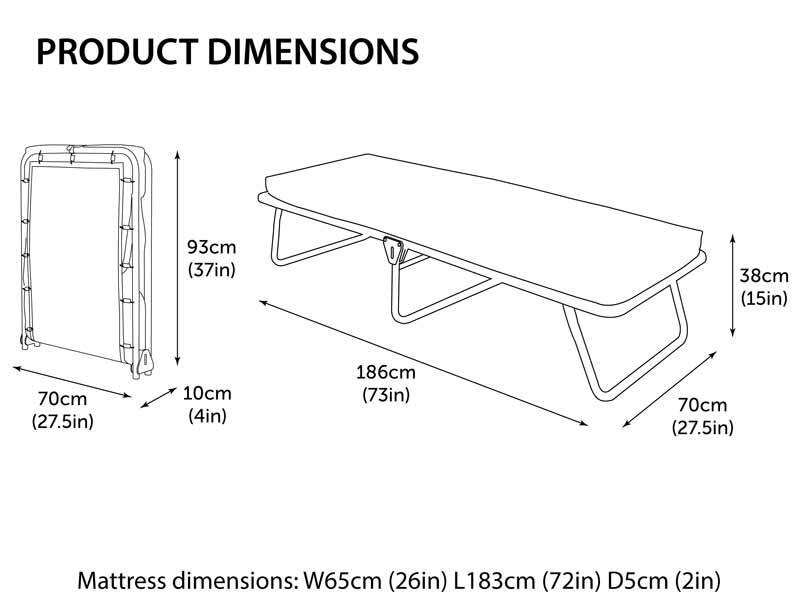 The folding bed comes as standard with a airflow fibre & Foam mattress . Delivery is free of charge to england, wales and lower scotland , however delivery to Scottish highlands is £40 , Isle of Wight is £15 and Northern ireland and isle of man is £30.